Saturday's scheduled Enkalon Trophy short circuit meeting at Bishopscourt has been abandoned because of the adverse weather conditions. 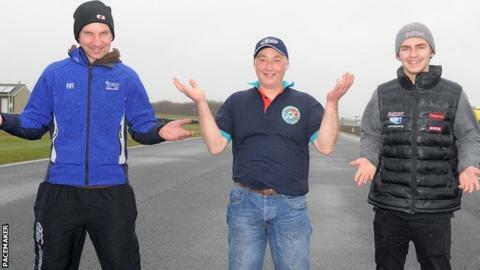 Persistent rain and high winds led to a meeting of the stewards, who decided to call off the traditional first round of the Irish Superbike championship. The Belfast & District Club will host a round of the series at Kirkistown on Easter Monday. Derek Sheils had been aiming for a record fourth Enkalon Trophy win.